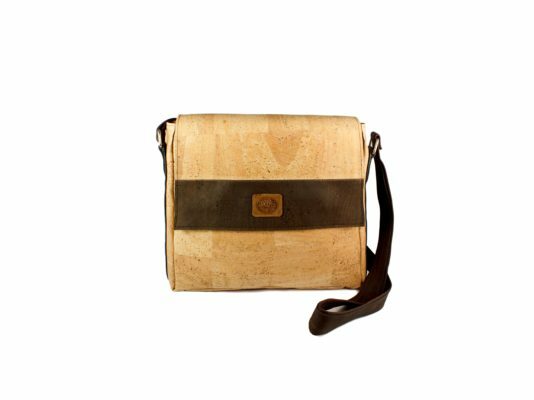 Buy cork bag for men. 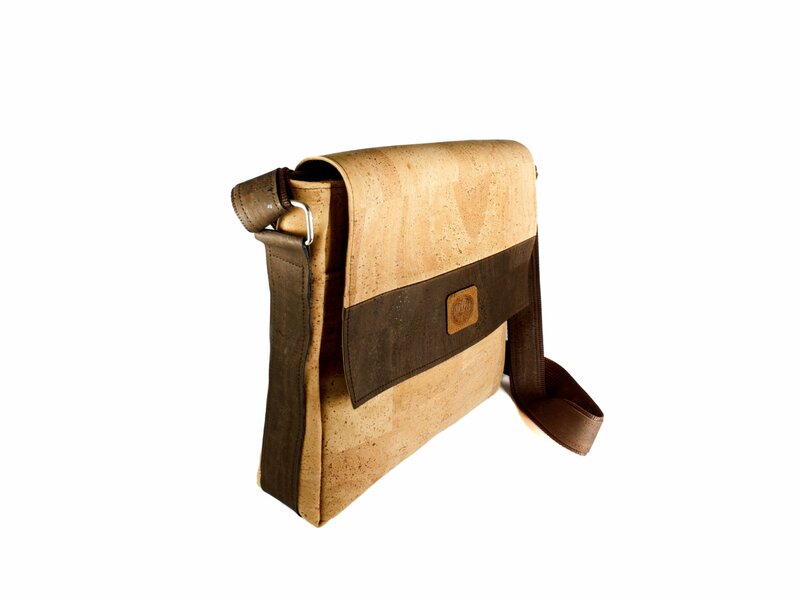 The flap closes 2 large pockets with a magnetic closure. The bag closes with a zipper. Inside are a large pocket. On the back are zipper pocket. 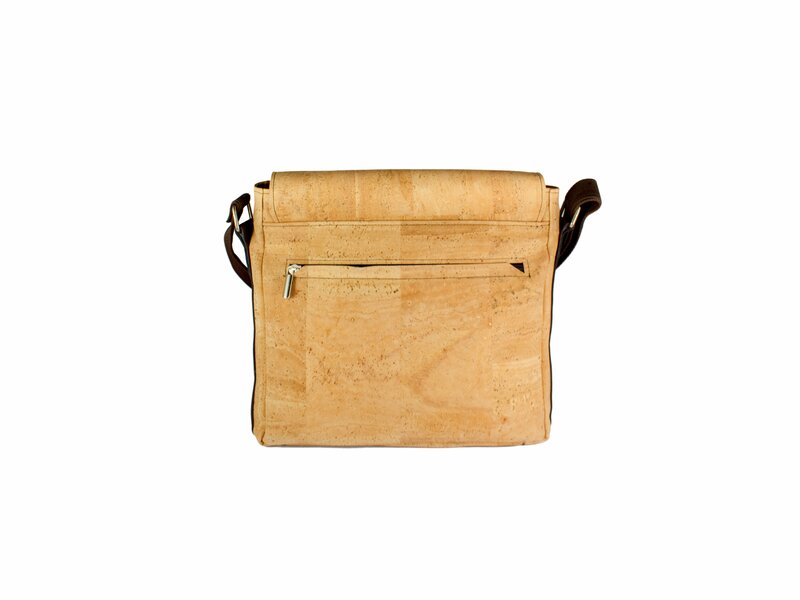 The bag has the long strap is adjustable. Material: natural and brown cork.